be subtle, as though non-existent"
The 13 Principles of Tai Chi come from the classic literature and produce relaxation and balance in the body throughout the movements. Movements are rooted in the ground and governed by the waist. Coordination of tension (substance) and relaxation (emptiness) is used for balanced movement. The body and the mind remain relaxed with the spirit calm. The approach is often counter intuitive, due to the continuous circular character of the movement. Moving one way to go the other then returning. Yielding to force rather than resisting. Using softness to overcome hardness. Tai Chi utilises innate mechanisms of the central nervous system and the musculo-skeletal systems of our body to produce effortless strength. Key components involve precise use of the feet. Looking one way to step the other with soft, silent steps. Turning by drawing in on the side you turn toward. Shifting by voiding the leg you move toward. Maintaining continuous circular motion throughout the body and the limbs. The health benefits of Tai Chi have been widely promoted since early 20th century. Many health studies have shown tangible benefits from the practice of Tai Chi. Tai Chi is reputed to reduce blood pressure, lower cholesterol, reduce the severity of diabetes, osteoarthritis, fibromyalgia, and reduce the risk of falls in the elderly and infirm. On the surface the 88 Forms of Niu Tai Chi are the same sequence as the Yang Cheng Fu long form. Differences appear in the directions and application of a few postures. The biggest differences are internal and not obvious to the observer. The movements are performed slowly with a straight spine and abdominal breathing, shifting the body weight from one leg to the other while maintaining balance and relaxation at all times. It takes 20 hours to learn the 88 Forms of Niu Tai Chi, and a lifetime to perfect. Accurate, repeated practice develops strength and stability, maintains flexibility of the joints, retrains posture, stimulates the cardio-vascular system, endocrine system and nervous system, digestive system, and creates a meditative peace of mind. Tai Chi Sword movements follow the same principles, but the sword acts as an extension of the body, taking our focus a greater distance from the centre. It takes 10 hours to learn the 57 forms of Yang Tai Chi Sword. The 2nd generation Master Yang Jian Hou (1839-1917) taught his son Yang Cheng Fu (1883-1936) who completed the development of Yang Tai Chi. 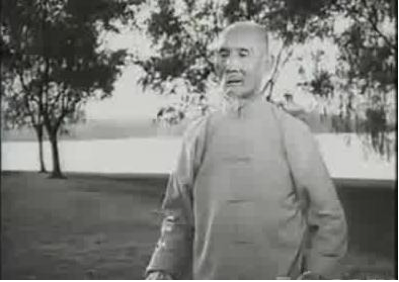 Yang Cheng Fu is the best known teacher of Tai Chi, being the first to offer classes to the general public (Beijing 1914-1928 and Shanghai from 1928) and publishing two books: Application methods of Taichi Chuan (1931) and Essence and Applications of Taichi Chuan (1934). Yang Cheng Fu had many disciples who are largely responsible for taking Yang Tai Chi to the rest of the world. Development of his long form was completed in Shanghai and has distinct differences in expression to the earlier forms. 4th generation Master Niu Chun Ming (1881-1961) learned Tai Chi from Yang Jian Hou and was the First Disciple of Yang Cheng Fu. Niu Chun Ming taught at Yang Cheng Fu’s Beijing School and later founded the Chunming Tai Chi School in Hangzhou China. 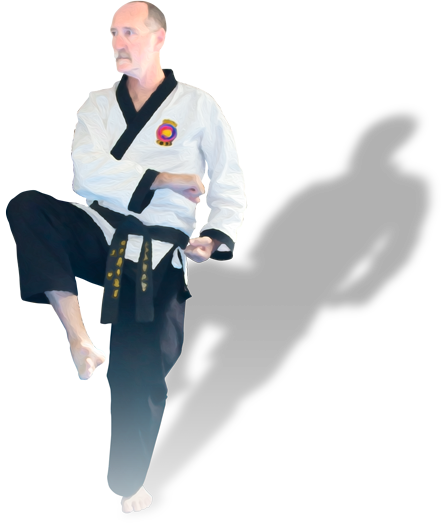 Stephen Ramsdale has travelled repeatedly to Hangzhou and studied Tai Chi Forms, Sword and Push Hands with 5th Generation Masters and others in the Niu Chun Ming lineage of Yang Tai Chi and teaches in Caloundra. Returning to Hangzhou September 18 to October 5 for more Tai Chi training with Liu Zhen Wei. Classes in Caloundra will be cancelled while Stephen is away. New inspiration can be expected when classes recommence in October after spending more time with Teacher Liu. Daily postcards will appear here in the slideshow and under the Blog Menu. Follow the adventure and leave comments please. Thanks to the participants who attended the 9 Forms sessions during Seniors Week. It was great to see some new faces enjoying Tai Chi. This was the first of an annual free Tai Chi program for Seniors Week, so tell your friends and get them on the email list for next year. Monday 18th to Friday 22nd August 2014 free 30 minute Tai Chi classes for Seniors at 1:30, 2:00 and 2:30 each day. Learn an easy to remember sequence of 9 Yang Style postures. 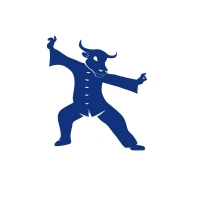 Classes will be conducted at 124 Bulcock St Caloundra by Stephen Ramsdale, an experienced Tai Chi instructor with qualifications for training older adults and people with special needs. “Saturday 26 April 2014, Sunshine Coast Tai Chi groups will meet at Kings Beach Amphitheatre, joining the Global community for World Tai Chi Day. One World, One Breath”. The last Saturday of April each year in 100s of cities, spanning over 80 nations, people come together ... to breathe together and provide a healing vision for our world. World T'ai Chi & Qigong Day brings people together worldwide across economic and geopolitical lines . . . coming together to celebrate health and healing through the practice of Tai Chi. World T'ai Chi & Qigong Day begins at 10 am with groups in New Zealand, and then quietly spreads time zone by time zone across the globe, to finish with the final events in Hawaii. The public is invited to come and watch or join in for this free event, organised by the Australian Niu Chunming Tai Chi Institute Inc. with support from Caloundra Community Bank Branch Bendigo Bank. The event starts at 10 am with a combined practice of Tai Chi groups and practitioners from across the Sunshine Coast, followed by demonstrations of Tai Chi, Sword and Push Hands from various groups and then free lessons will be available for anyone wanting to experience a taste of Tai Chi. On the last Saturday of April at 10:00 am local time, the world is invited to join in on mass Tai Chi and Ch Gung teach-ins and exhibitions held in over 70 nations. This event brings people together in celebration of personal and global health and healing. It's motto is "one World...One Breath"
Mark your calendar for April 26 2014. More details to come about participating in the event in Caloundra.